You can connect HMT-1 or HMT-1Z1 to other Bluetooth devices, in either Bluetooth master or Bluetooth slave modes. In Master mode, HMT can connect to audio devices such as Bluetooth earpieces and Bluetooth speakers. In Slave mode, the HMT can connect to mobile phones and act as a Bluetooth microphone/headset for the phone. 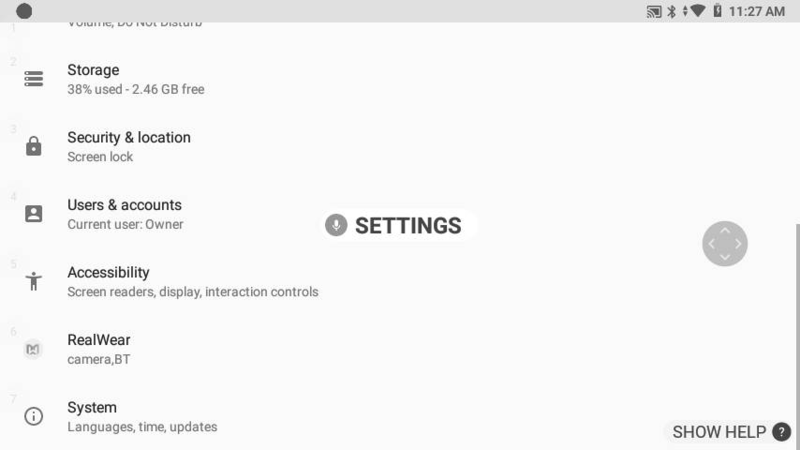 To change the Bluetooth mode, go to My Programs and say “SETTINGS”. 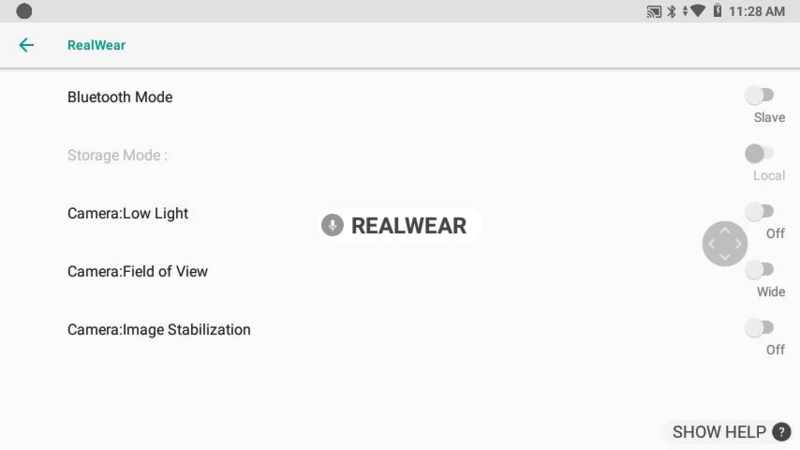 Select the item called “REALWEAR” just by its name or select the item number using “SELECT ITEM #”. Here you’ll see a setting called Bluetooth Mode. By default this is set to Slave. Say “BLUETOOTH MODE” to toggle between Master and Slave modes.